From our current collection of Extra Fine Watercolours - the best watercolours for Artists - we now have a wonderful way for you to sample the complete range of 5ml tube Watercolours. 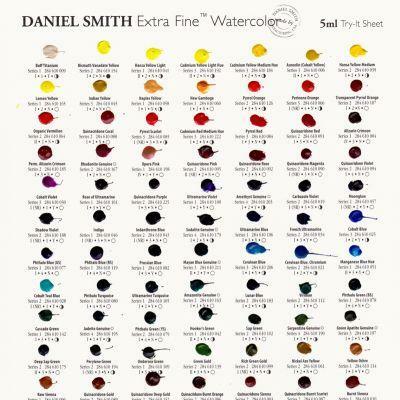 Our DANIEL SMITH Extra Fine Watercolour 5ml Range Try-It Colour Sheet! 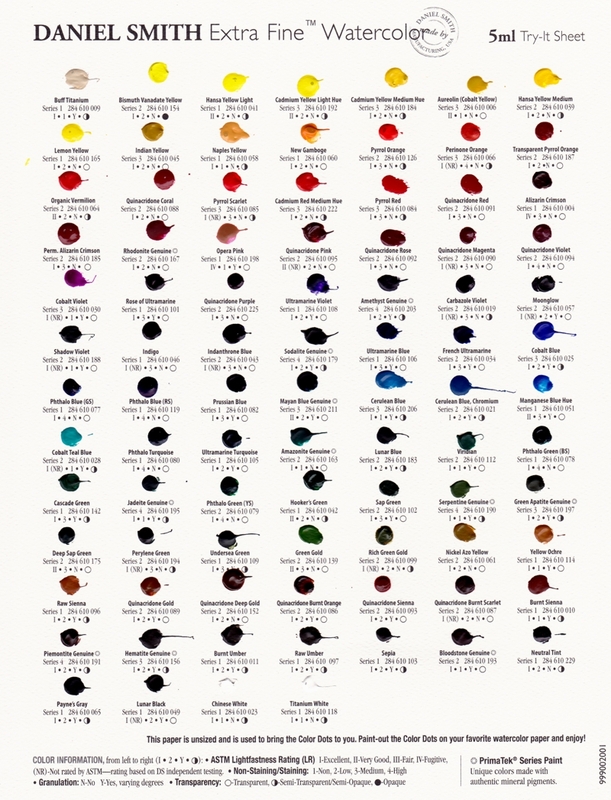 These are “paint-able” dots of pure DANIEL SMITH watercolours that you can paint out yourself to experience 88 our beautiful watercolours, that’s the complete 5ml range including 10 PrimaTeck colours. Cut the 5ml Range Try-It Colour Sheet into 88 reference tabs so that each of the 88 watercolour dots are on their own rectangle.